In the small business industry and free enterprise, the demarcation line between corporate and personal branding is nonexistent at times. Accomplishment and triumph mean continually exhausting personal networks to reach new customers, partners, and talents for the company. Meanwhile, you keep on handling the online presence of the company to establish a clear, reliable identity for the brand. People nowadays search for your company through its LinkedIn profile and the user profiles of your team members. In reality, the notions of brand and identity are entwined, and to deal with that dual identity is quite a challenge, but when done properly and well, this bond can provide opportunities for breakthroughs. 1. Link LinkedIn to your official website and online accounts to increase presence. There are numerous methods for prospective customers to look for your company, such as the official website, Facebook, Twitter, and so on, but these people may not always be acquainted with the direction or path they should follow. Link all of your online presence to open more doors to the right customers, so they may successfully find your brand. 2. 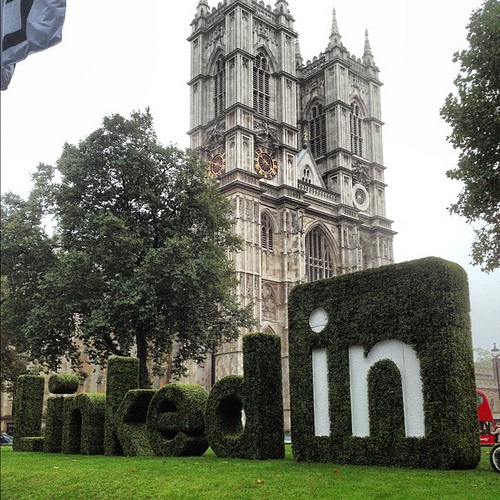 Encourage the team to be active on LinkedIn. Activate the combined network of the company by encouraging your employees, apart from the marketing department, to get involved with the LinkedIn Company Page. Besides the increase in visibility to prospective hires and new customers, it will start an ethos wherein your employees continually engage or interact with the brand and contribute to a unified goal. The initiative may start with a colleague or associate adding the company to his or her profile to make sure he or she has an up-to-date and convincing profile, or sharing the updates of the company’s LinkedIn page to his or her network. 3. Take advantage of existing content streams. Use successful and popular posts on other social networks to build a good content stream on your LinkedIn company page and user profile. For example, use Twitter history to select, organize, and present relevant content to your LinkedIn presence and identity. 4. Show how much you value your followers. Your LinkedIn company page has to provide value to the target audience using a continual stream of interestingly insightful and relevant content. As a result, you will develop a trustworthy relationship and engage with your customers. Remember to use the 80/20 rule: After posting four status updates that are stringently value-driven, post one status update that links back to your company. 5. Interact with LinkedIn Groups. Search for, join, and contribute to groups that discuss topics relevant to your organization. Establish yourself as a member who cares and offers excellent information or advice. On behalf of your company, establish rapport for your company and personal brands by being a thought leader or influencer in target groups.